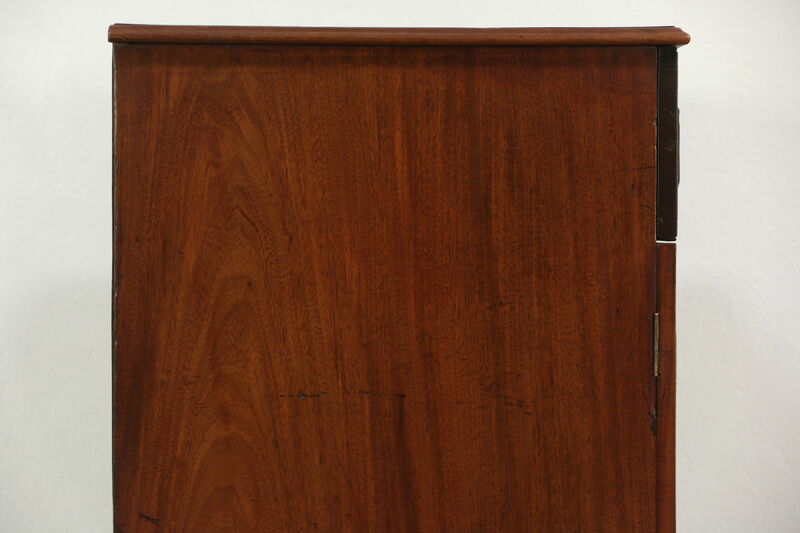 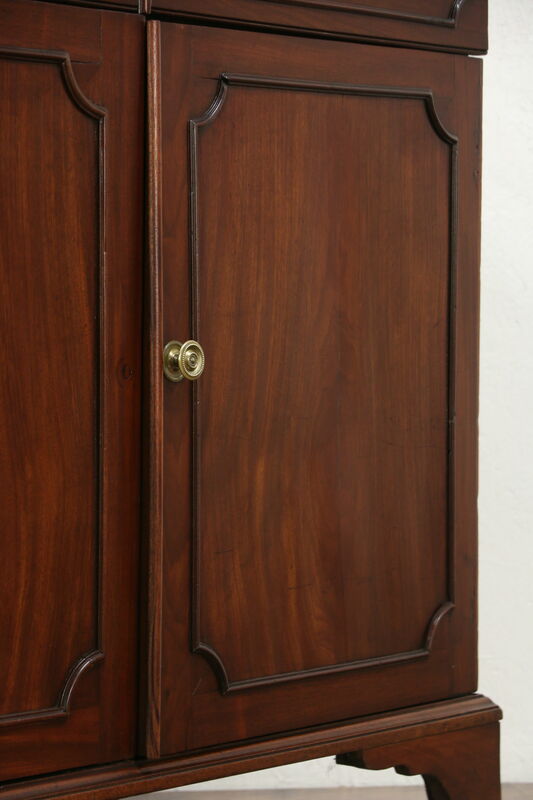 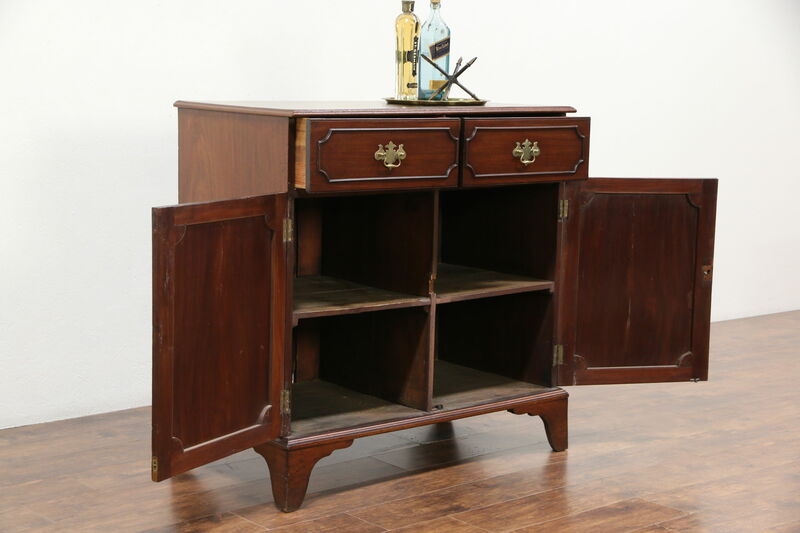 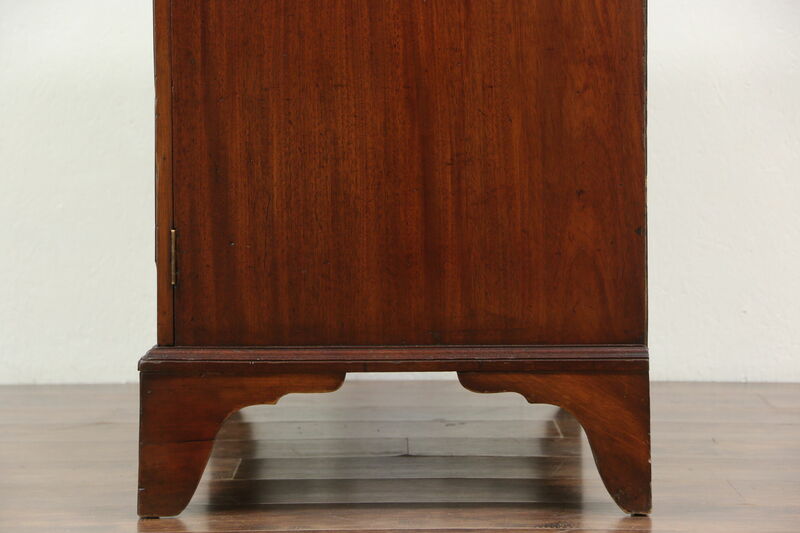 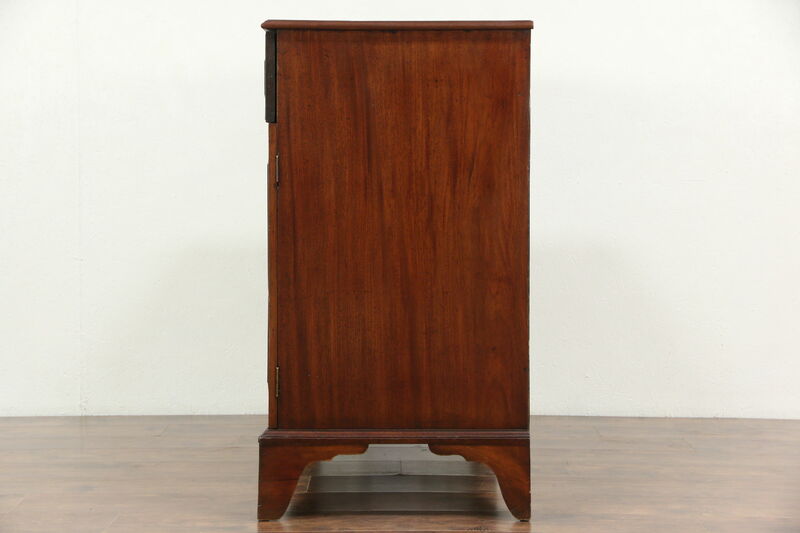 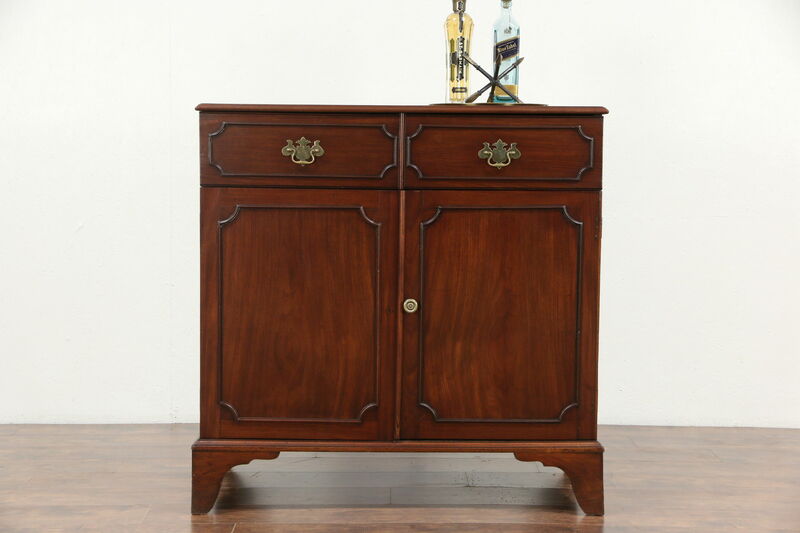 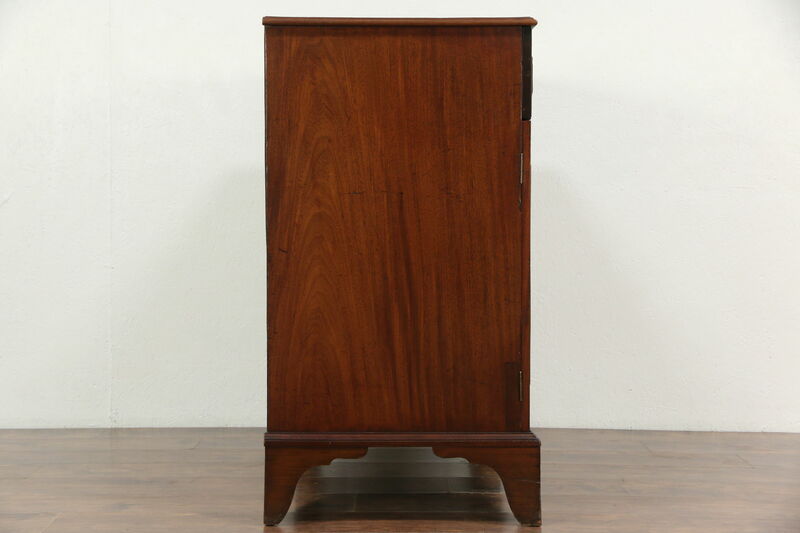 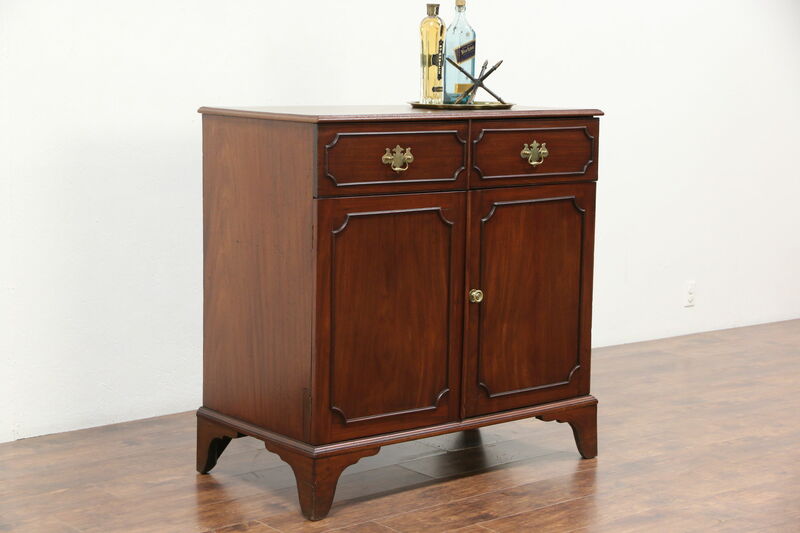 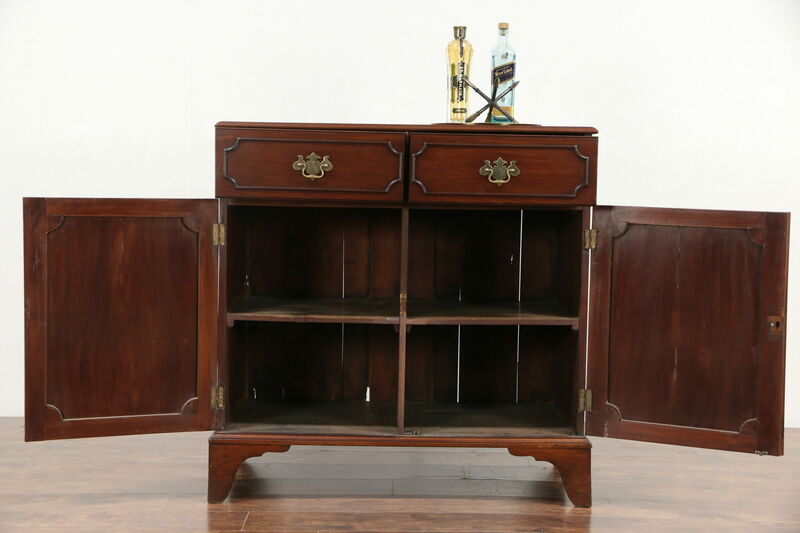 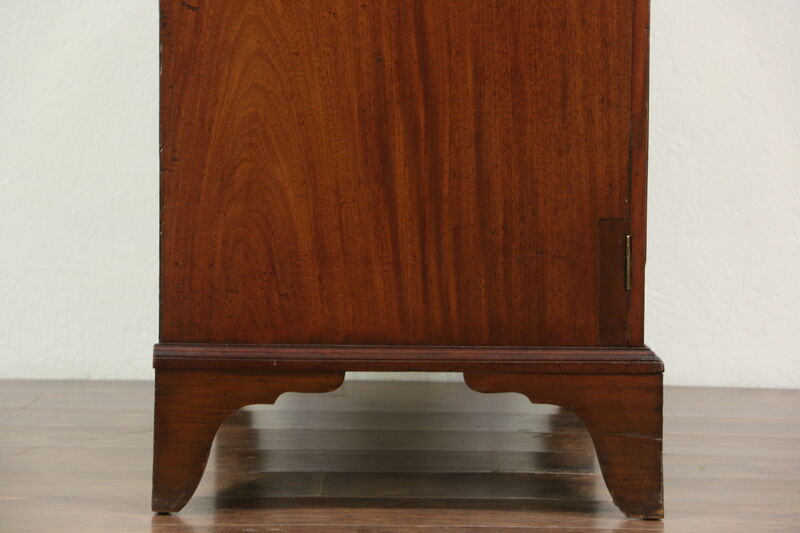 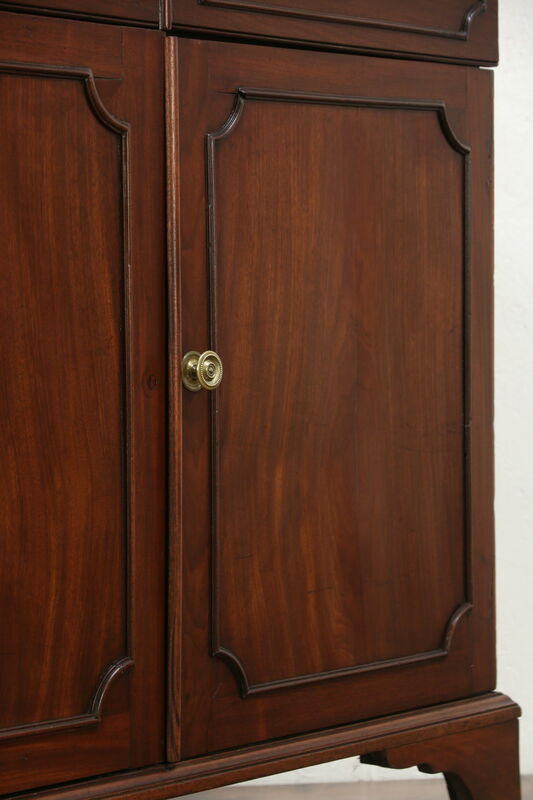 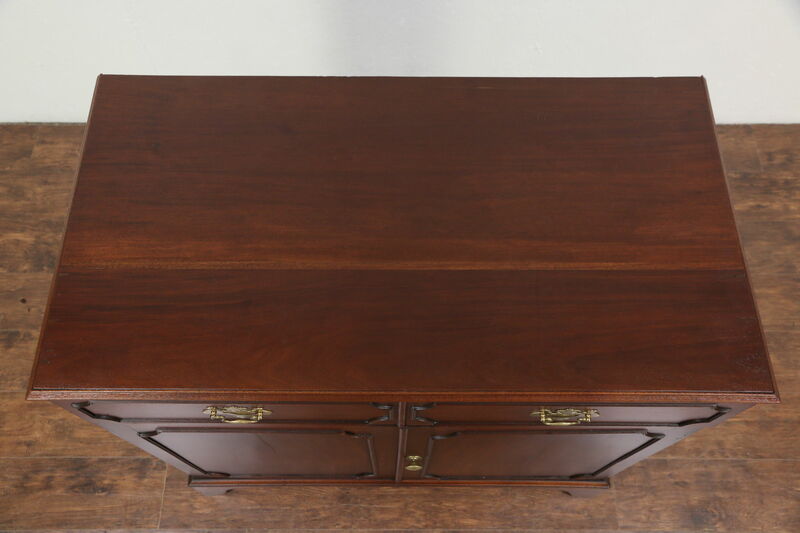 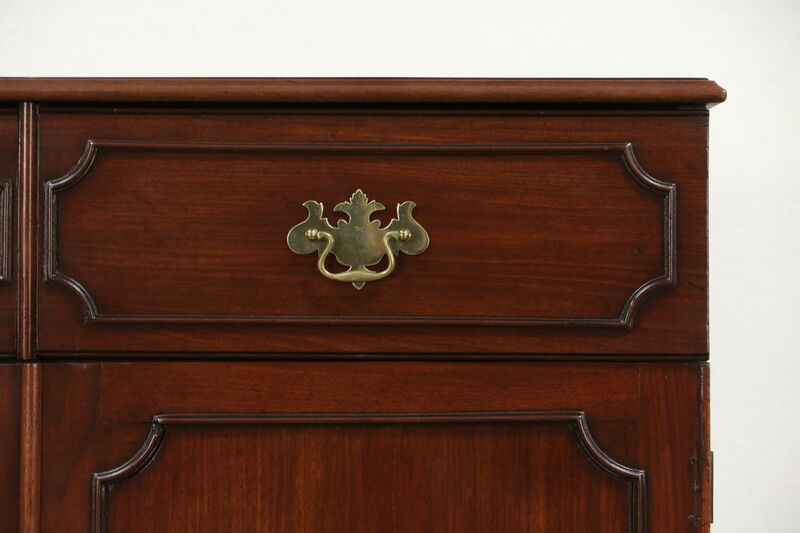 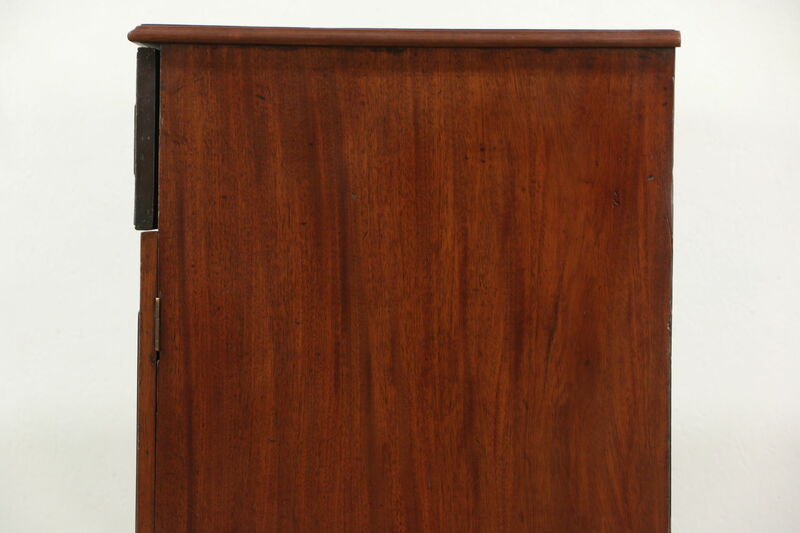 A hand crafted mahogany sideboard or server could be a linen cabinet or TV console as well, and was made in England around 1870. 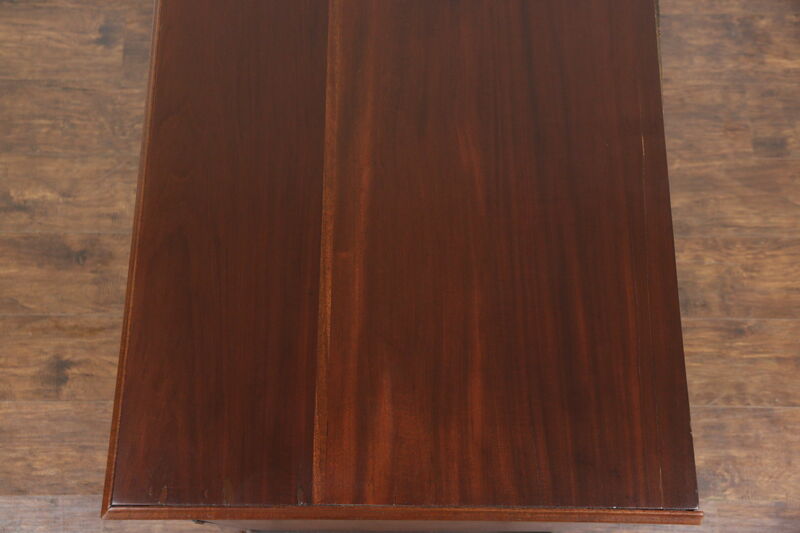 The restored finish is in excellent condition with warm patina, preserving lots of mars, restorations and shrinkage separations from age, see photos. 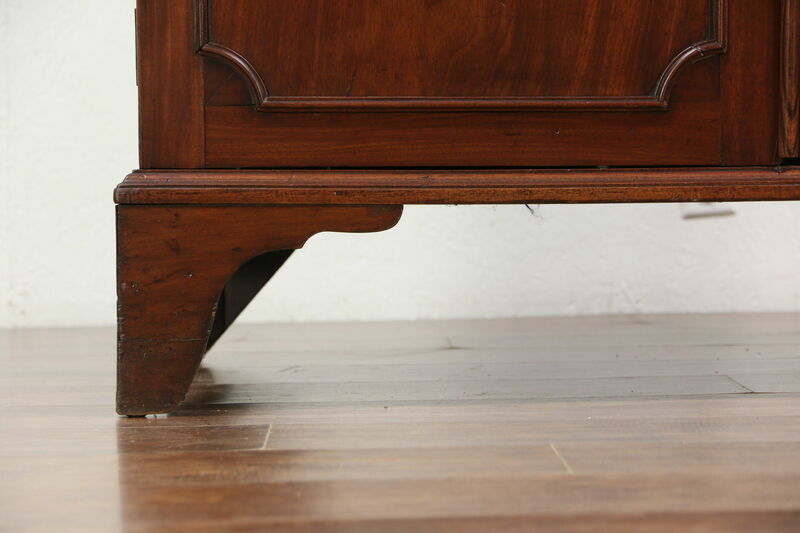 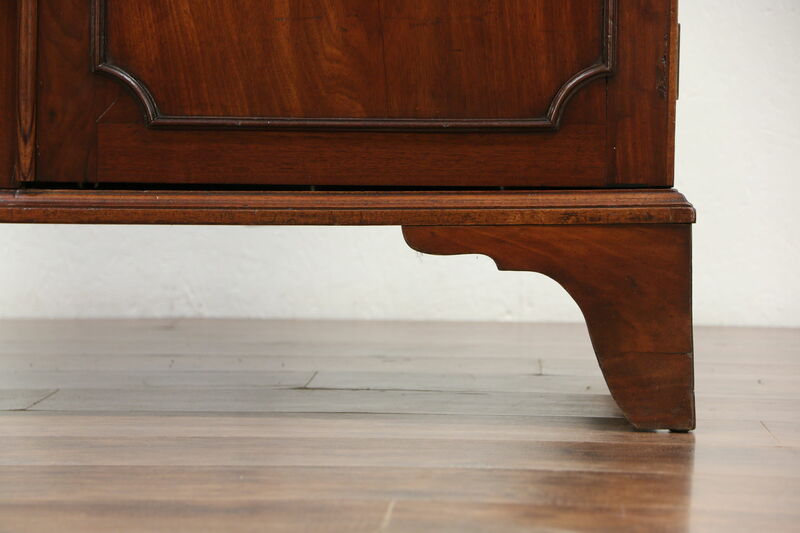 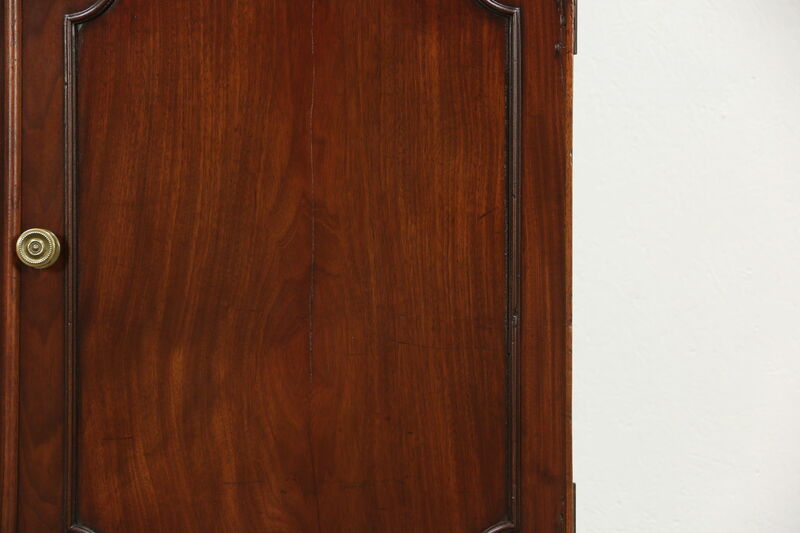 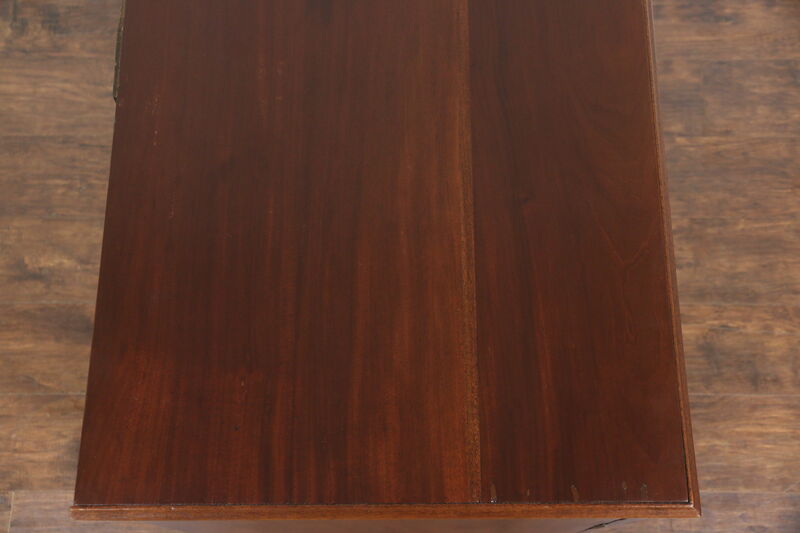 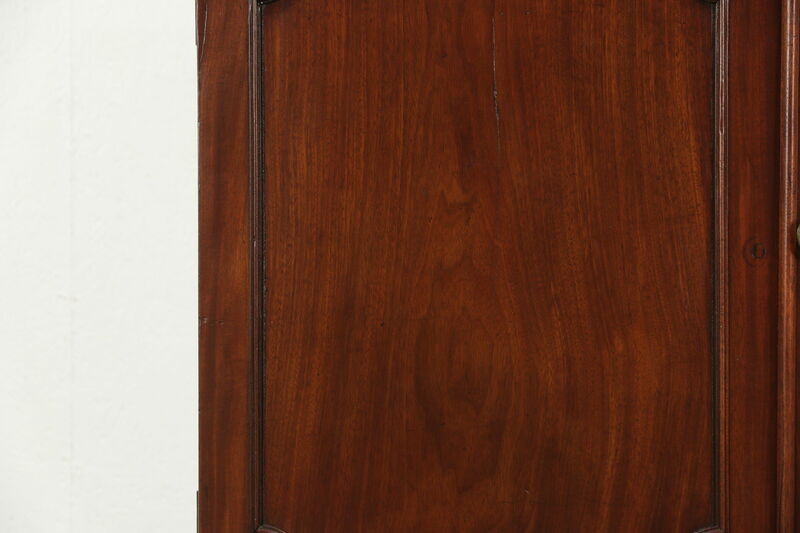 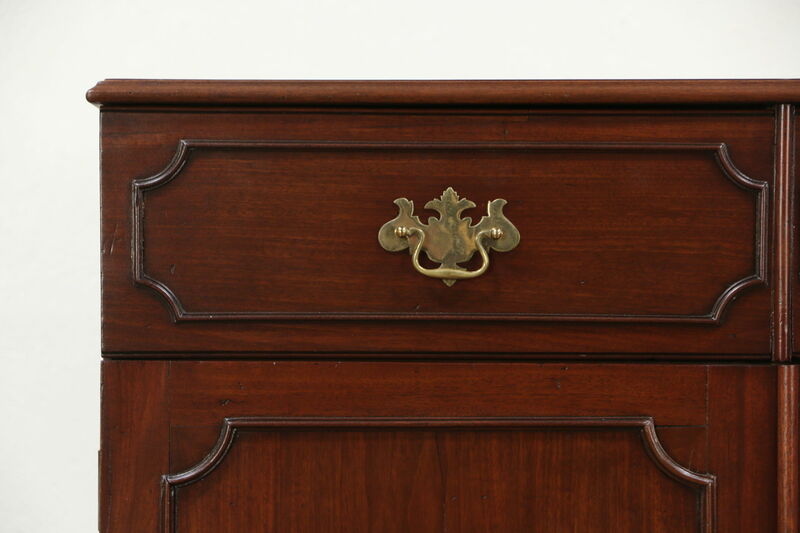 Square cut nails are visible on this antique furniture. 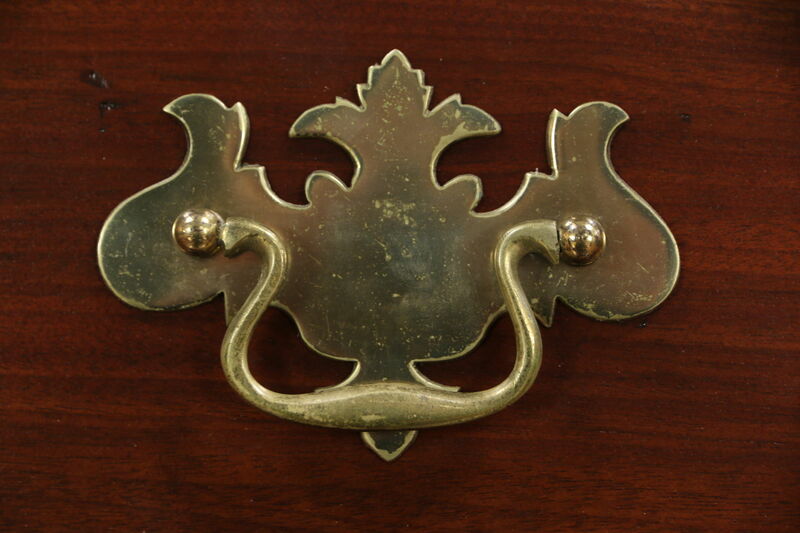 Hardware is solid brass. 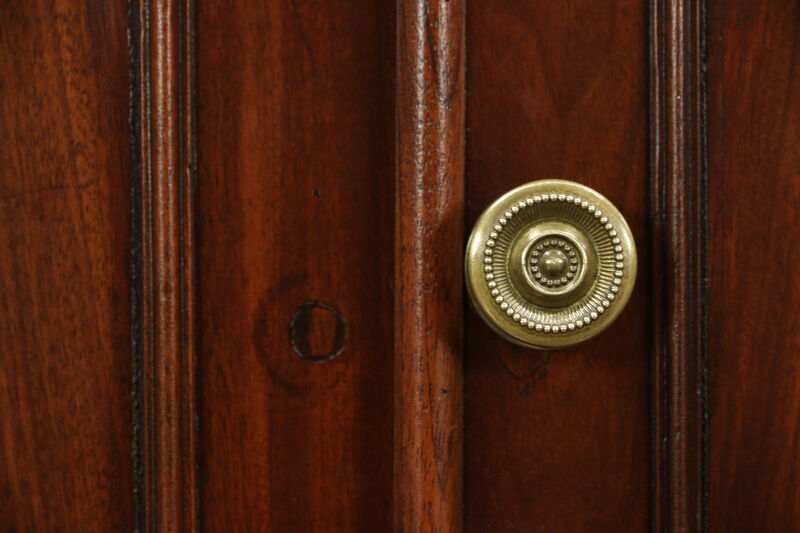 The right door has a warp from age, a spring catch holds the door flat when pressed in. 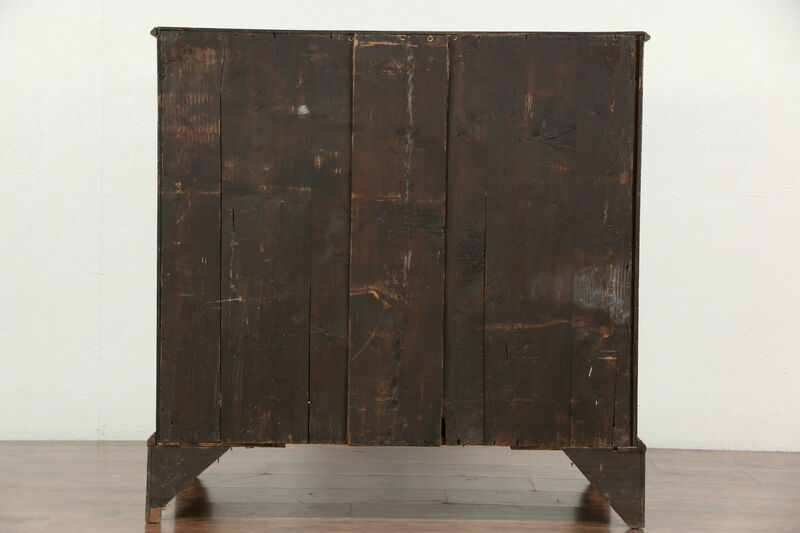 Size is 44" wide, 23 1/2" deep and 43 1/2" tall.